This project was one of the first commercial work i took up, right after finishing my MA in Marketing Management. The project was for a well established Travel and hotel firm, known as Cyprea Pvt. 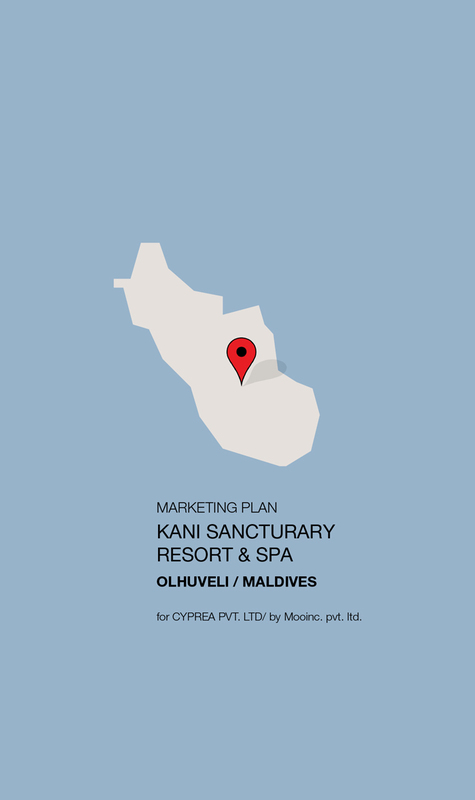 ltd, main aim of which was to develop a uniquely differentiated product, and marketing plan to include in their Bid proposal to the government to acquire the island, Olhuveli, for resort development. They already had a well established brand name, Kani Resort, which has been in operation since 1980, and they wanted to create an extension of the brand. The basis for the development of the brand was the geographical area, which until then was not very much explored as a tourist destination, but during my investigation had a lot of significance, historically and culturally, to enable the establishment of a very unique product. I tried to take in to account and investigate as much about the history of the space, and utilize it as way to develop a product which had narrative, very unique, and differentiated, hence competitively sustainable (or cannot be copied). Lot of reference was taken from old folk stories, anthropological studies, and cultural fusion which developed throughout that particular period of maritime trade. A totally new mythology or narrative was developed from these references to develop the product “Kani Sanctuary Resort & Spa”.